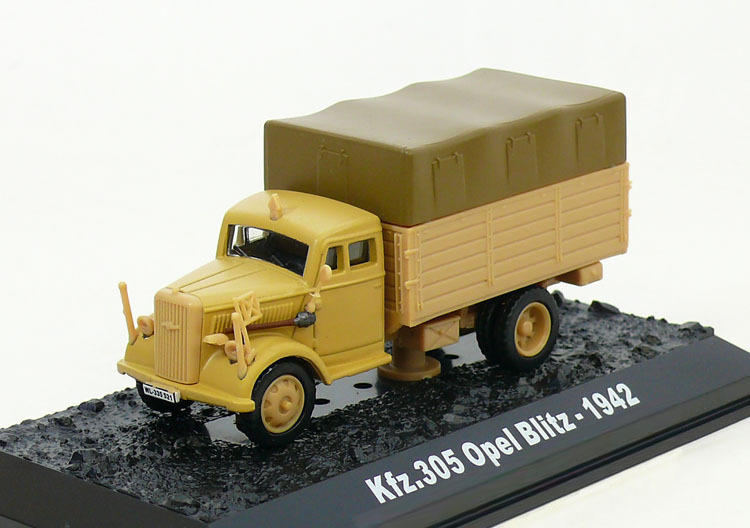 Opel Blitz was the name given to various German light and middle-weight trucks built by Opel between 1930 and 1975. 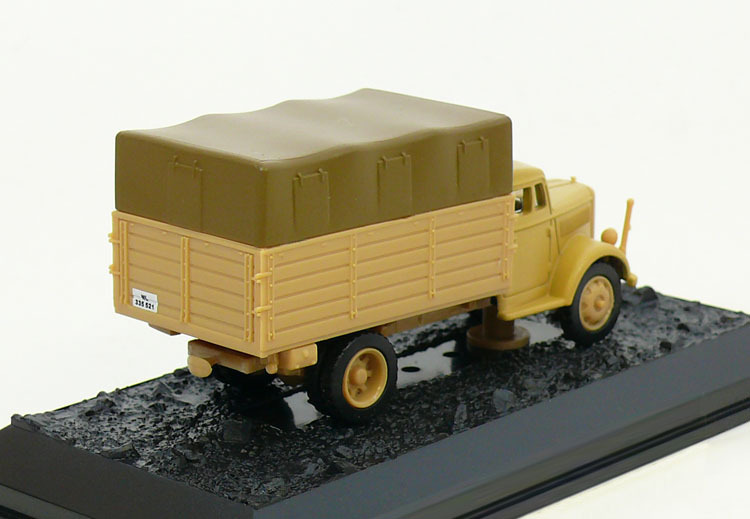 During the years preceding the Second World War Opel was Germany's largest truck producer. The Blitz name (German for lightning) was first applied to an Opel truck in 1930 and by 1934 there were four base versions offered of the 1 tonne model along with fourteen versions of the larger 2/2½ tonne trucks. From 1939 onwards the 3-ton version was used frequently throughout World War II, among other things as service vehicle for the Messerschmitt Me 323. A half-tracked version, using tracks and suspension based on that used on the Universal Carrier, was also produced as the Opel Maultier (mule).